This love thing. It’s problematic. How do you feel about the word ‘love’? About using the word with people in your life? And what about the people you work with? What about feelings of love? Do you think they even have a place in your working life, and in our organisations? I asked these (and more) questions over the summer, in a survey of 75 leaders in organisations*. I’m deeply interested in seeing what we need to do to make organisations places of ‘psychological safety’. To counteract the unthinking un-humanness that goes on. To prevent the creeping culture of fear that I experience in so many of our workplaces. 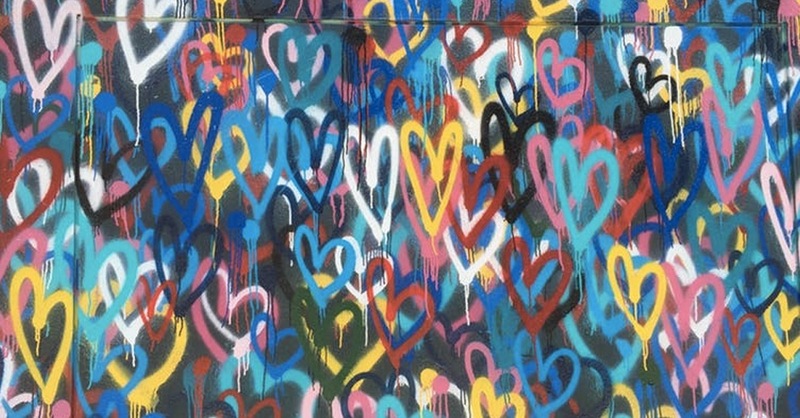 But also to explore what might be possible – ambitiously, optimistically – for ourselves and our organisations if we could bring more love into our workplaces. I want us to lead our organisations with more love in our hearts and in our behaviour. While 94% of my survey respondents said they felt love was either very important or important in the workplace, a significant number weren’t comfortable at all about talking about it at work. 5.8% of people said they felt very uncomfortable, and 25% said uncomfortable. Are you surprised or not at that figure? I don’t think I am surprised given how often people seemed to want to steer me away from doing a piece of research on love, per se, in the first place. Even from friends and colleagues who I knew well, I sensed a slight nervousness. I wondered if it was in them – their own lack of ease with explicitly using the term love. Or maybe they didn’t want me to embarrass myself somehow with a topic that was a bit edgy. But generally, people said “you don’t mean love, though, do you? You mean compassion or empathy.” No, I don’t, I mean love. “Well, it’s about engagement, I guess”. No, I guess it’s about love. Why do we want to dilute the word? What’s that about, I wonder? I often quote the actor Steve Coogan at this point, who said in an interview…. He appears to have a point. I don’t think that the opposite of love is hate. Well, it is in one sense, for sure. But I think a more meaningful opposite is fear. And I see a lot of fear in the organisations I work in and in the people I work with. Fear of not belonging or of not being liked. Fear of being found out and of getting it wrong. Fear of just being wrong. Of being judged and found wanting. Fear of someone discovering ‘what we’re really like’. In fact, one colleague I talked to last year about this thought it was more than fear – he thought that many of the people he met were terrified. It’s one of the reasons I am interested in love because it’s paralysing to be in fear – it shuts down all of our creativity and our ability to connect and reach out, our willingness to take risks. It means we separate ourselves and pull up our drawbridges to protect ourselves. We are so full of cortisol we can’t function as a whole human being. I’m with Marianne Williamson when she says ‘when love is absent, fear steps in’. And no good can come of that. And fear underpins some of these responses above. That we might be seen as vulnerable and weak for expressing or demonstrating love – or even talking about it. That we will be judged and thought odd and different. And more …that we will be kicked out, sidelined, ostracised, with our power, influence and currency taken away from us. Surely our core fear, that – that we will be abandoned by our tribe. Terrifying, in fact. And the second from the above responses – that work is just not the place for love (you have to read that in the most sniffy and disapproving tone you can muster, of course ?). I mean, I do get it – finding that line between what’s appropriate and what’s not. And didn’t Kenneth Williams once say ‘love is the most awful intrusion of privacy’ (something like that). But still. We see this separation a lot. This split between home and work. I was working with a team a couple of years ago and two people who had worked together a long time didn’t know that they each had a 16 year old daughter. And another example, just the other week. As part of a leadership development programme, a module that focused on ‘self’ had so many people saying they had never spoken about themselves with their work colleagues like they were doing with us. And they were asking ‘really, is it ok to do that?’. How come it takes a development day for us to start to see each other as more than our job titles? It’s not ok to believe that we need to leave part of ourselves at the door when we come to work – and mostly our emotional life. How come I can’t show you all of who I am? Including my love. What harm must we be doing to ourselves to keep parts of us so walled up from the people we spend most of our working hours with? Tell me if I’m banging on a bit. But that’s what I mean about there being some big questions. This can’t be ok.
We can take a small but bold and radical first step. We can start by talking about love. In a recent piece, the activist George Monbiot says that if something matters to us then ‘we need to get embarrassing about [it] and overcome our own reticence …and risk upsetting people’. He says ‘we have a duty to break the awkward silence and talk about the subject other people want to avoid’. I’m with him. I want an organisational world we can talk about love as freely as we do performance management. And where loving actions are what we choose first. Where leading from love isn’t problematic. Do you think love has role to play at work? If so, what role? If we ran this place with more love, how might we do that? What might that look like? If there was more love around here, what might be different, do you reckon? Go on, Do it. ? And let me know where those conversations go. I’d love to hear about how they go and what arises as a result. I’m sure that something good and interesting will happen as a result. You can share your experiences with me on Twitter using @Helena Clayton. Or come along to the event ‘Leading with Love’ at the Meaning Fringe and join in the conversation we’ll be having, based on my research, about how we can put love back into work. 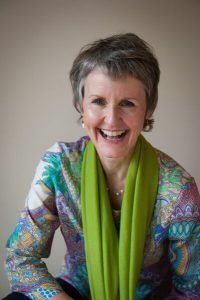 Helena Clayton is a Leadership Development Consultant and Executive Coach based in West Sussex. Leading from Love: what might be possible?